Orchard Hill Residents - lock up your hearts! Pansy Parker and Misty Green are rivals in romance. Each believes she is the town's best matchmaker. Now, they're going to settle the question for once and for all. They're keeping track to see who can make the most matches in a year's time. No heart is safe in Orchard Hill - not even their own. Riley O'Neil and Grace Randall have been best friends since kindergarten, and Pansy knows they belong together. After Grace's fiance leaves her at the altar, Riley decides it's time to tell her he wants to be more than friends. Grace is still reeling from her fiance's betrayal. She fears that if she and Riley start dating, it will ruin their friendship--and right now Riley's friendship is something she can't spare. A new year is coming, and it's the perfect time for a fresh start. Will Grace take a chance on love with Riley? Pansy Parker lingered in her office at the Orchard Hill Community Church on Wednesday afternoon. Pastor Isaac had already left for the day. She was finished with all her work, but still she puttered about, straightening papers that didn’t need straightening, untangling paper clips, and checking the plants she knew full-well she’d watered yesterday. When she’d just about run out of reasons to stay, the person she’d been waiting for breezed in. The two women eyed each other, sizing each other up. Pansy noted that Misty was wearing her silver and blonde hair loose—hair that was too long for a woman in her fifties and especially if that woman owned and ran a health food store that featured a large produce section and bins of bulk food. She wondered if Misty wore a hair net when she worked. Probably not. “I wonder why?” Sarcasm dripped from Misty’s voice. “Well, I could beat you at matchmaking any day of the week.” Pansy was not normally a woman who boasted, but Misty just pushed her over the edge, and making matches was her only true talent. She wasn’t about to be one-upped by a tofu eating pseudo-hippy like Misty Green. Misty was silent for a moment. She put a hand to her chin as if contemplating something. “How about we put that to a test?” she finally said. Pansy thought it was a very catty expression. “No, I’m coming right now.” Before the blonde went out the door she looked over her shoulder at Pansy and winked. “New Year’s” she said and closed the door behind her. The nerve of that woman! Pansy fumed as she gathered her things to go home. She’d show that Misty Green. Before the next year was over, Pastor Isaac would be up to his eyebrows in wedding preparations. Riley O’Neil wondered how he got himself into these things. His plans for the day had not included sitting with Grace…who was crying…in the ladies room…at church. He sighed with frustration and glanced around, noting the flower-covered wall paper, the ruffled, lacey curtains and the bowl of potpourri on the sink. He could feel the testosterone draining from his body with each passing minute. He put a comforting arm around his friend. “Come on Gracie. You have to stop now. You’ll make yourself sick.” Everyone else called her Grace, but she was always Gracie to him. As a boy, Riley remembered being curious about what the ladies room looked like. This was definitely one secret he wished hadn’t been revealed to him. His grandmother used this room! No, Riley did not want to be here. He would very much like to be with his best friend Steve, so he could punch him in the nose. But Steve was on a plane going to Hawaii with Tami, who had betrayed Gracie and stolen her fiancé. Riley was sure he heard a woman’s voice. Tami was a waitress at The Grace Place, the coffee shop Grace owned. “Come on Steve, the plane is boarding,” Riley heard Tami call, with a giggle. “Take care of Grace for me, Riley. I’ll see you when we…I mean when I…get back.” He’d hung up before Riley could say another word and suddenly he was the one stuck with the task of ruining his other best friend’s special day—her wedding day. Wait a minute. What was he doing, obsessing over table favors when he was supposed to be comforting Gracie. How could he do that? At that moment, no amount of faith or Christian principle could prevent Riley from loathing Steve with all his heart. This was not how he had expected to fill his role as best man. Like he had a choice? He was the only one she’d let in the room. She gave him a wobbly smile. “It doesn’t matter anymore if the dress gets ruined. Give me a hug. So he gave her a hug like they’d shared so many times over the years, and then she started to cry again. Riley pulled another tissue out of the box and handed it to her. As long as he lived, he’d never forget the look on her face when he’d told her. It hurt him more than the time he’d fallen out of the maple tree in her yard and broken his arm. “I hope that plane crashes,” he declared vehemently. “Gracie, he’s the one who messed up. You have nothing to feel bad about.” There was no way he was going to let her take the blame for this fiasco. “I’ll go check.” Riley quickly grabbed at the chance to escape from the ladies room. Grace’s mother and her friend Lily were waiting in the hallway. “How is she?” asked her mom. “I wish she’d let us help,” said Lily, still wearing her festive red bridesmaid dress. “Surely a girl would want her mother at a time like this.” Mrs. Randall gave him a pleading look. “Don’t worry. Even I’m inclined to agree with you at the moment.” Lily had carried a chip on her shoulder since her messy divorce, so he didn’t take her attitude personally. Grace’s mother sighed. “I suppose I’d better go make sure Ed has taken his blood pressure pill. Something tells me it would be a bad day to forget. Take good care of my Grace, Riley.” She patted his cheek and headed for the door, ready to go search out her husband. Lily followed. “I will,” Riley assured them, holding the door as they exited. When they’d gone, he continued through the building, checked the sanctuary and the fellowship hall. They were both empty. Everyone must be gone. He turned to go back to Grace. Riley decided to grab a fresh box of tissues first. The supply closet was in the church office. Luckily the door was unlocked. Pansy Parker, all dressed up for the wedding that wasn’t happening, sat behind her desk. She smiled warmly at him as came in. “How’s Grace doing? Riley had always thought Steve did a poor job of watching out for Grace. Now he wouldn’t be there for her at all. He pushed away the notion. She still had her family. Not that they were doing the greatest job either. 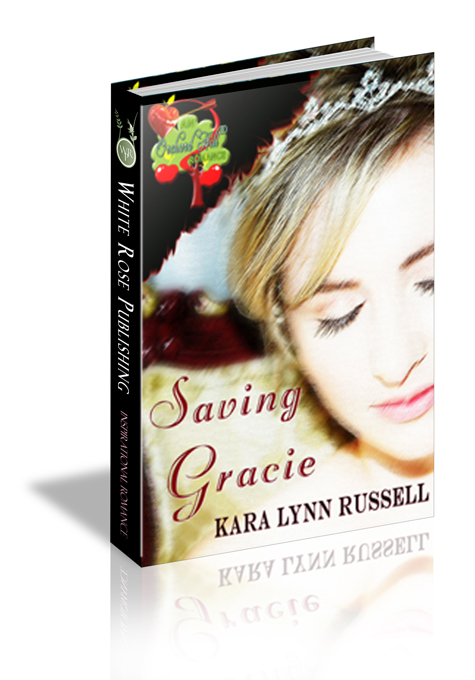 They hadn’t been able to save Grace from being left at the altar. Why had Grace chosen Steve? They’d been dating on and off for years, breaking up one week and back together the next. If their dating life was that unstable, how had she ever thought they could keep a marriage going? “You’d better get back to her now, Riley.” She held out the box of tissues for him. “Huh? Oh yeah. See you later.” He grabbed the tissues and turned to go. As he was leaving he noticed the peculiar smile Pansy gave him, but he didn’t have time to consider what that was about.